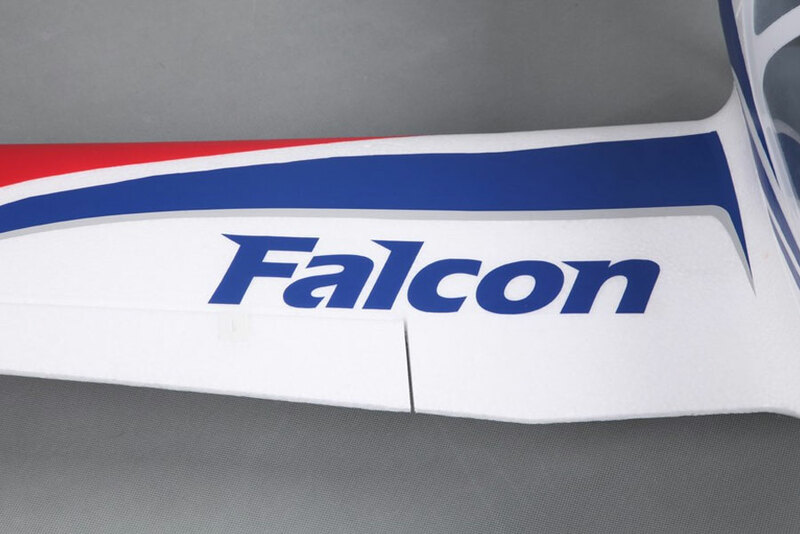 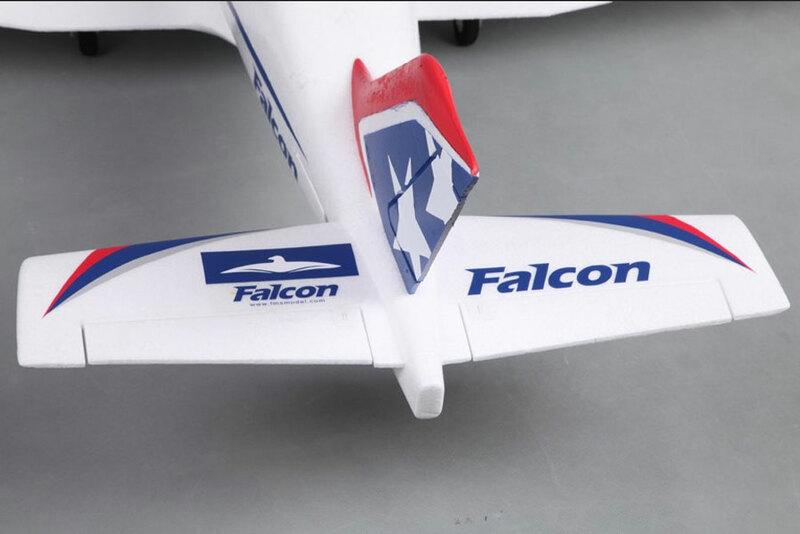 The Falcon has a super cool appearance sporting a vibrant red and blue paint scheme with a simulated falcon head on the side. 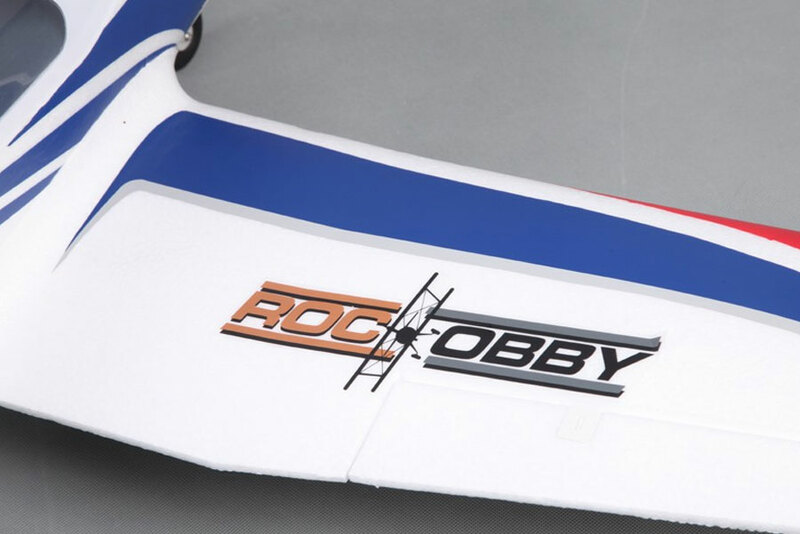 this will surely draw attention on the flying field! 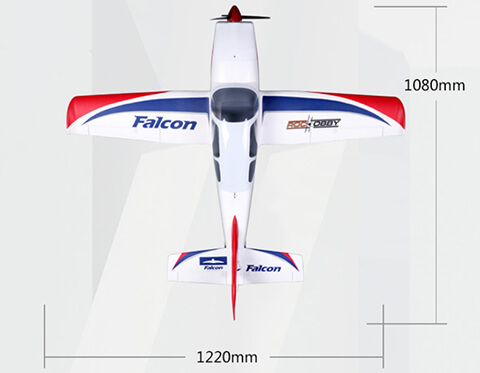 Additional features include operating CNC oleo style retracts, a large cockpit with a scale looking pilot, and overall intricately scaled details. 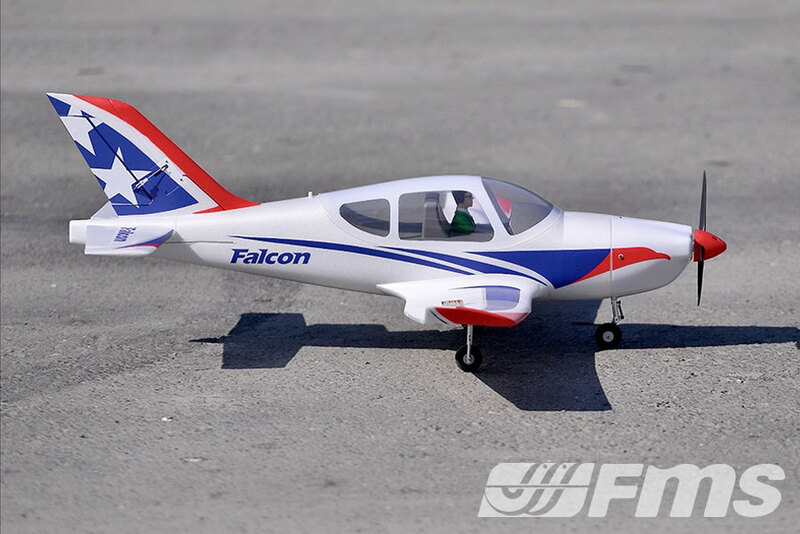 The Falcon is assembled with screws only so you can be out flying quickly! 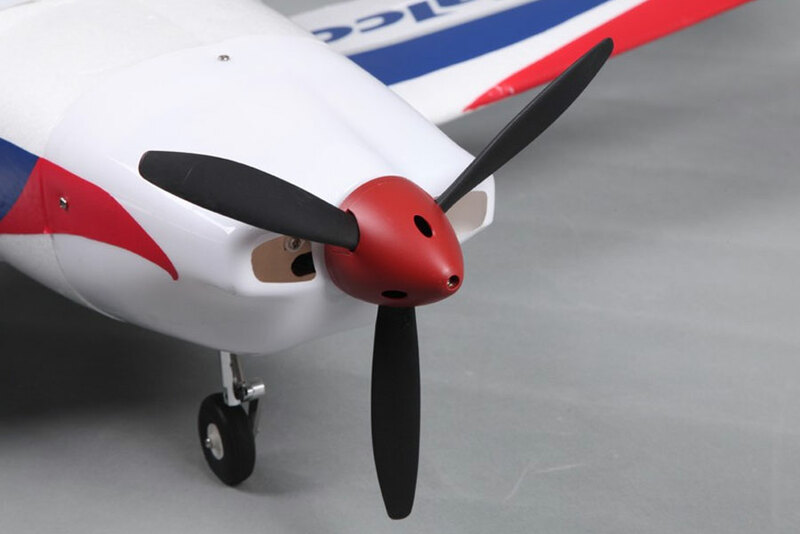 If these features are not attractive enough, you can add the optional float set. 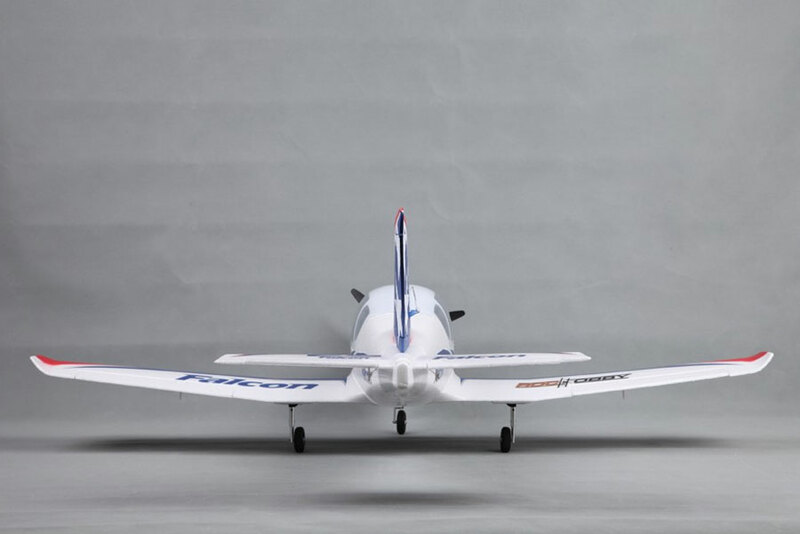 The enhanced power system allows the plane to take off and land on the water with ease. 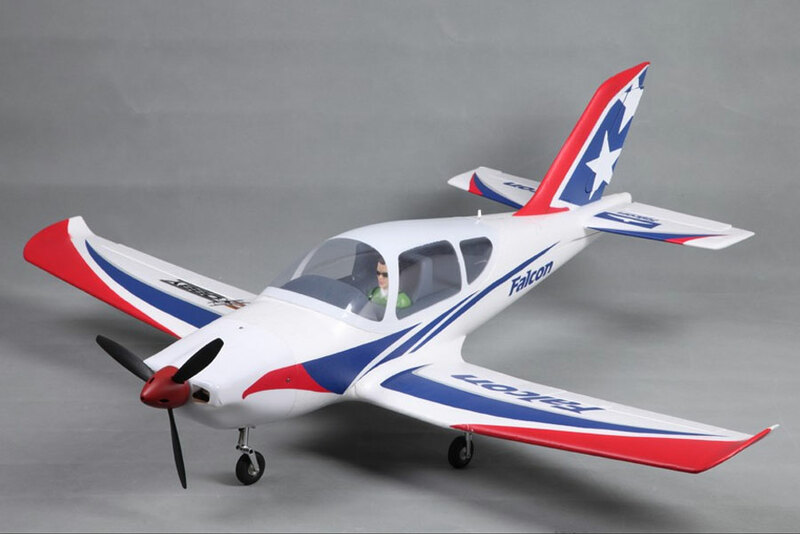 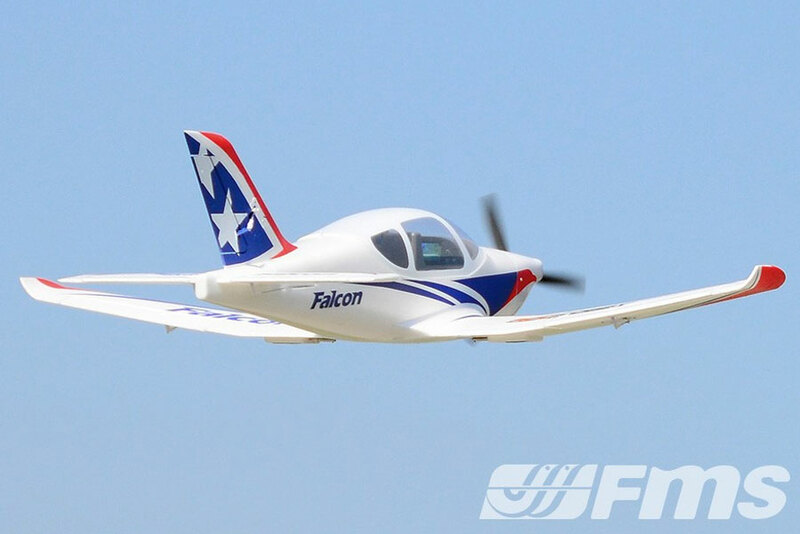 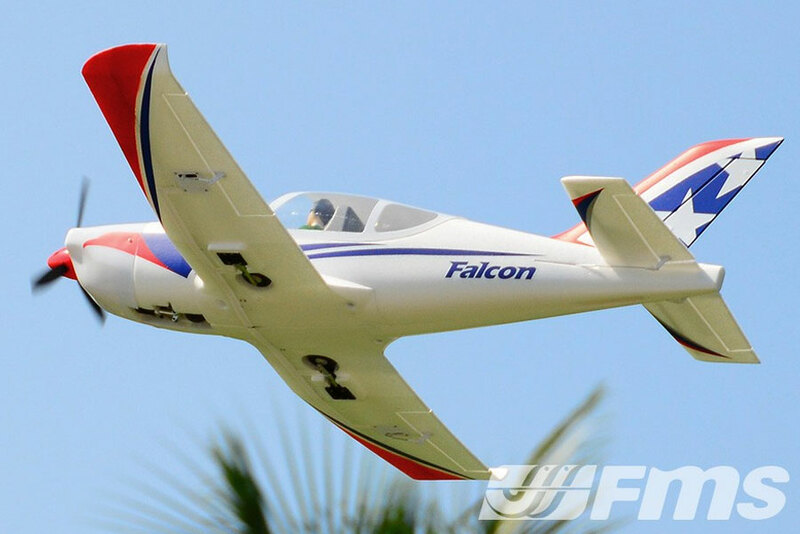 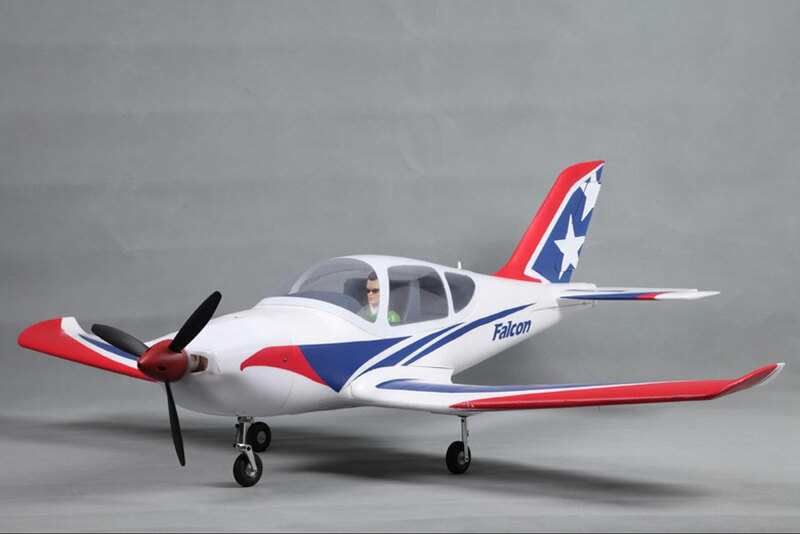 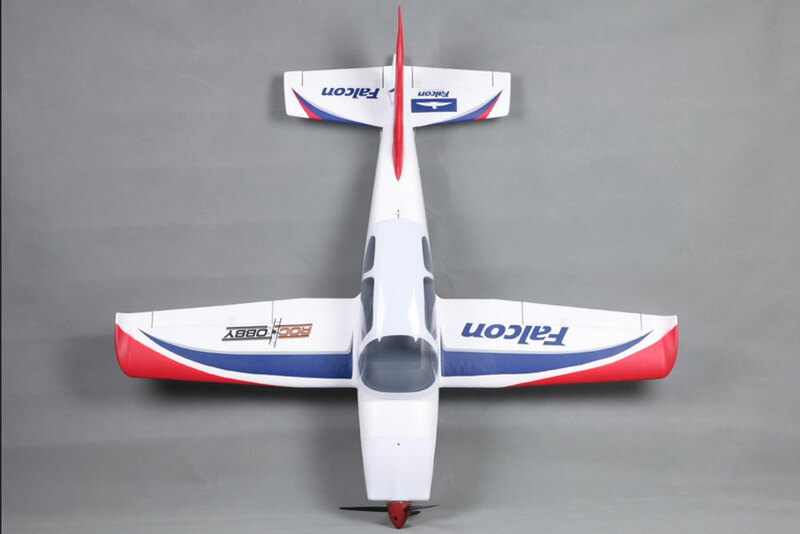 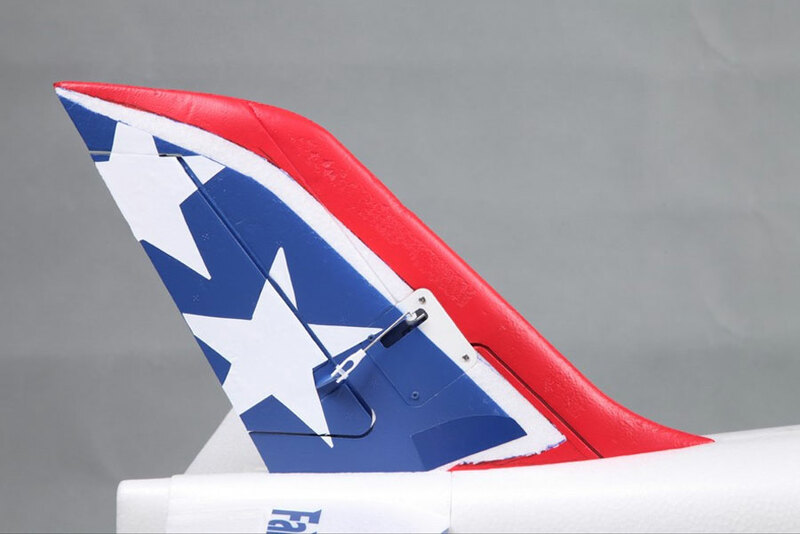 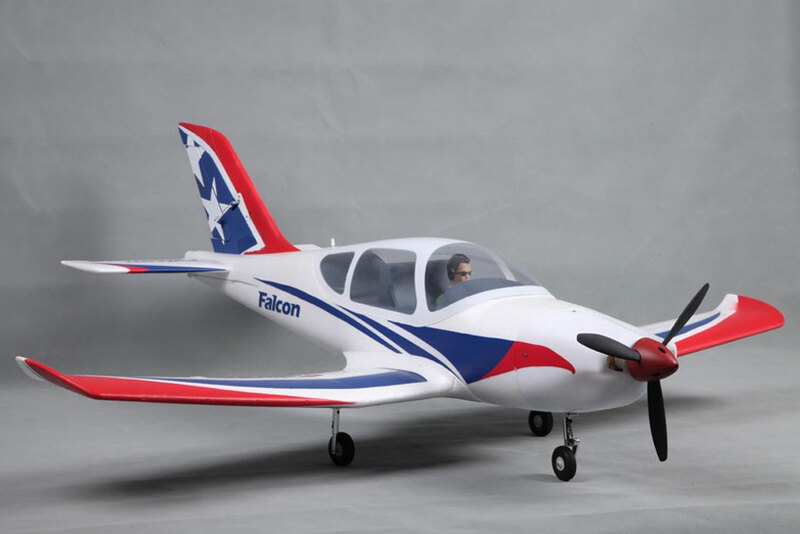 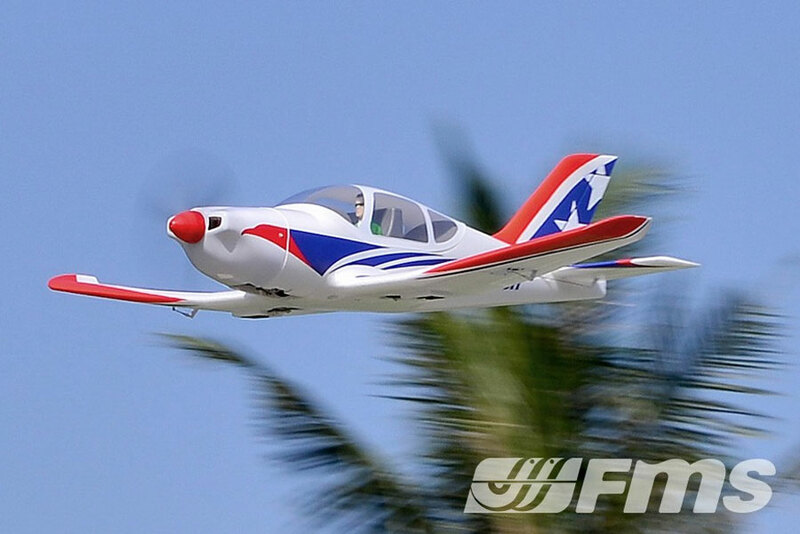 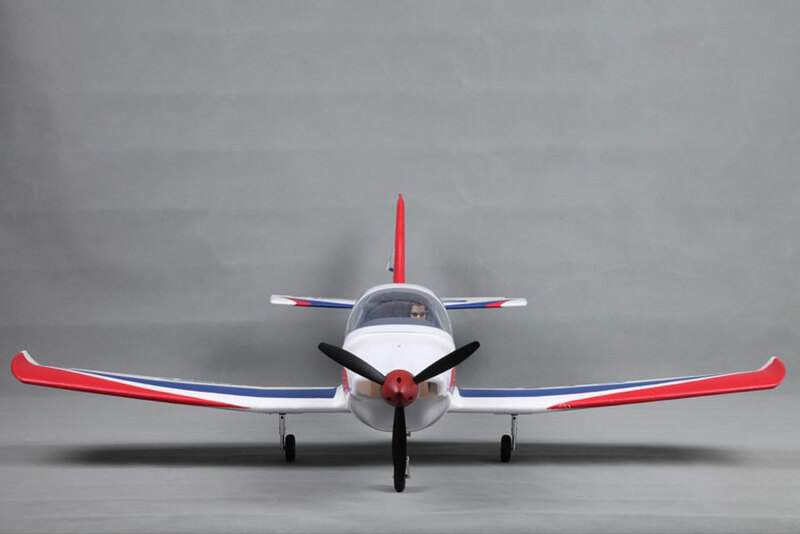 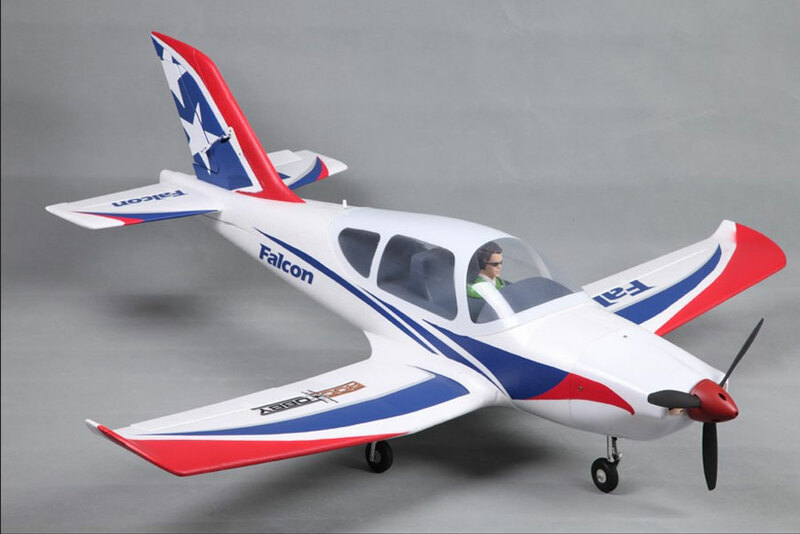 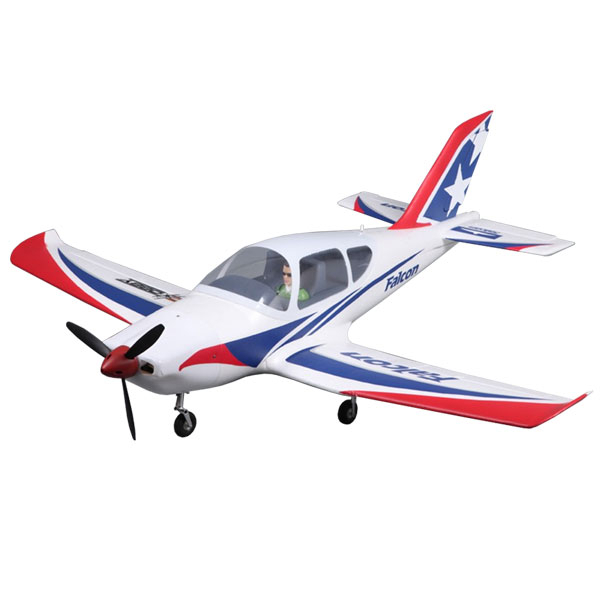 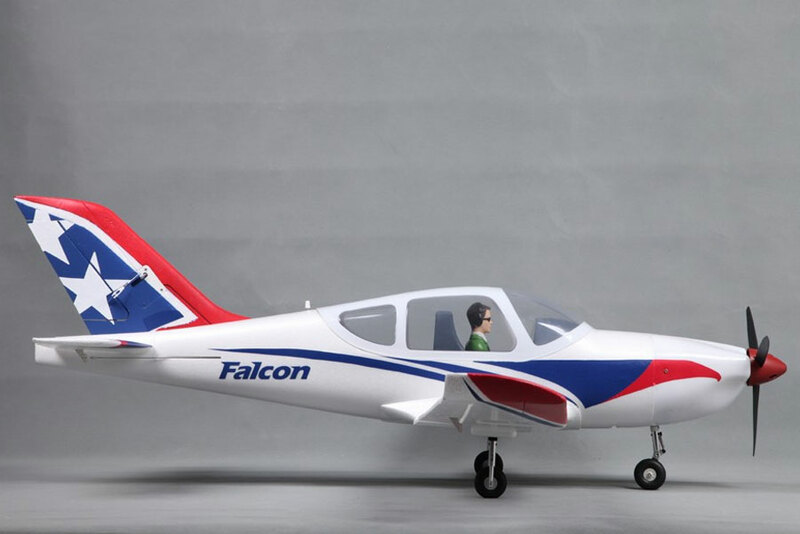 If you’re after a cost-effective, steady performance civilian aircraft, the ROC HOBBY Falcon is for you!. 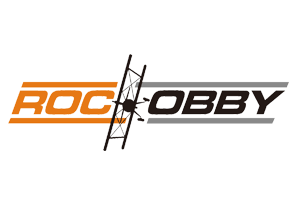 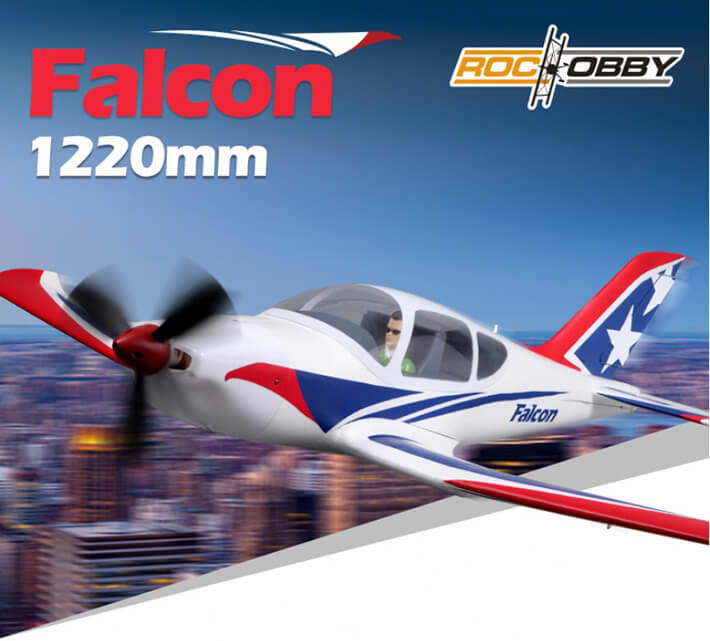 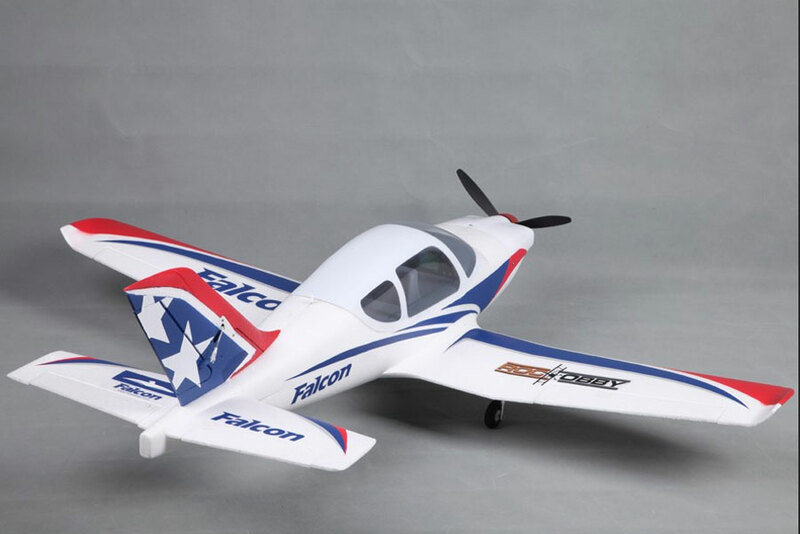 There are NO reviews of the ROC HOBBY FALCON 1220MM ARTF W/O TX/RX/BATT yet!